Taj Mahal is Arabic for “crown of palaces”. 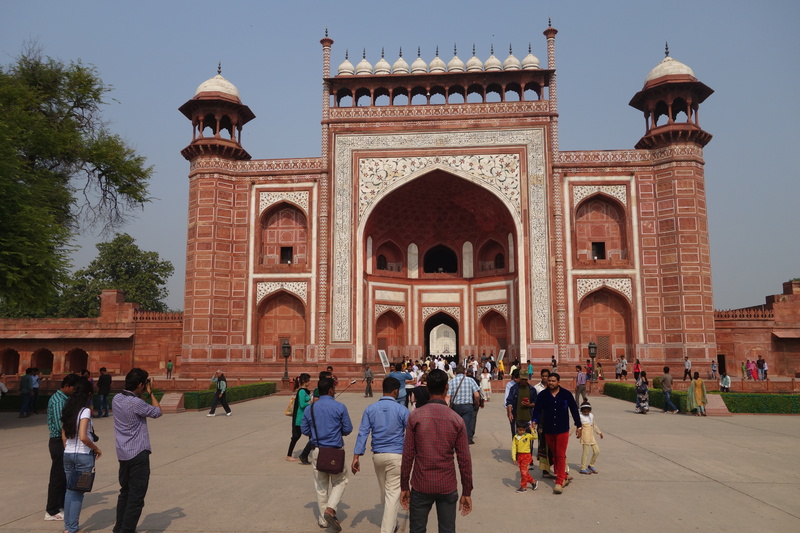 Constructed over a span of about 20 years in the mid-17th century as a mausoleum for the wife of Emperor Shah Jahan, it’s often described as the jewel of Muslim art in India. The Taj Mahal’s purpose as a mausoleum has long led many to credit its origins to the fairy-tale love of Shah Jahan and Mumtaz Mahal. As a poet described, it is a “solitary tear suspended on the cheek of time,” an attempt to commemorate a feeling for a person in the grandest manner possible. Some of the story is based in fact, most of it was fabricated. Let’s face it: The Shah has six wives and Mumtaz Mahal was his third wife. She gave birth to seven children and she has substantial power at the royal court. And the Shah was grieving over her death. 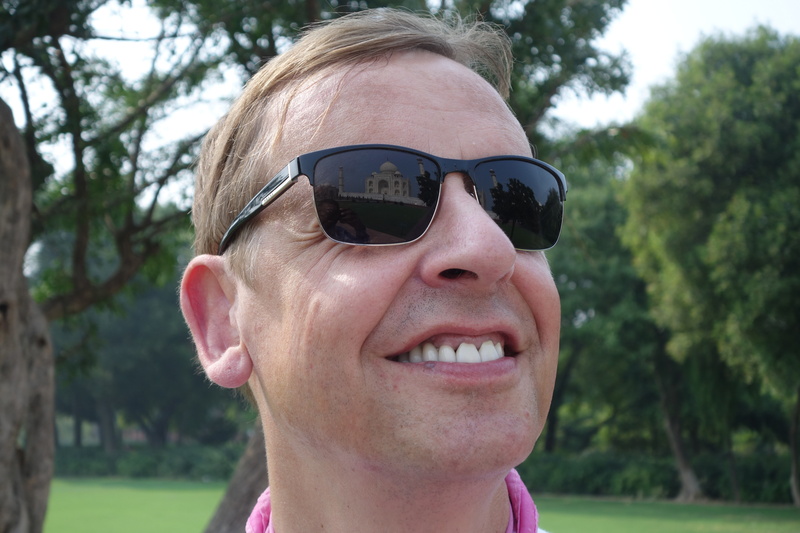 But, he never planned on having his own tomb, a mirror of the Taj but in black, built facing across the river is also an idea of recent invention. 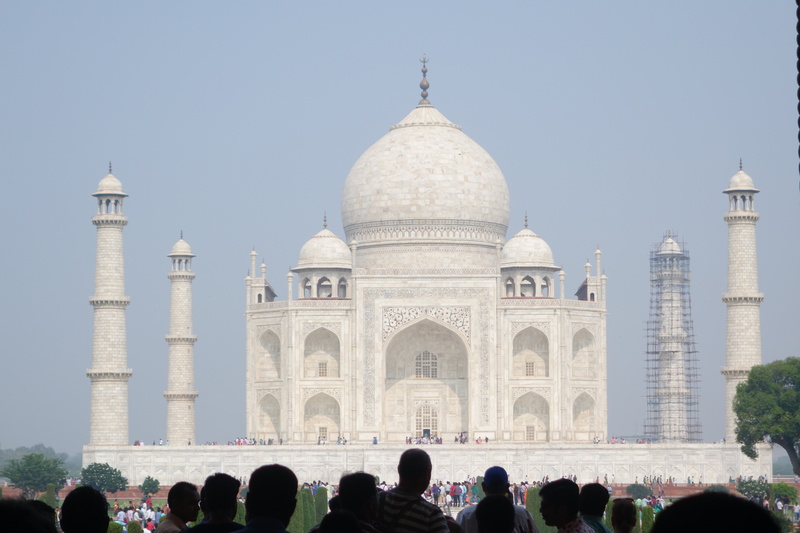 Many historians believe that the Taj Mahal was mostly a propaganda piece for an emperor who should be better known for his ruthlessness than for his romance. 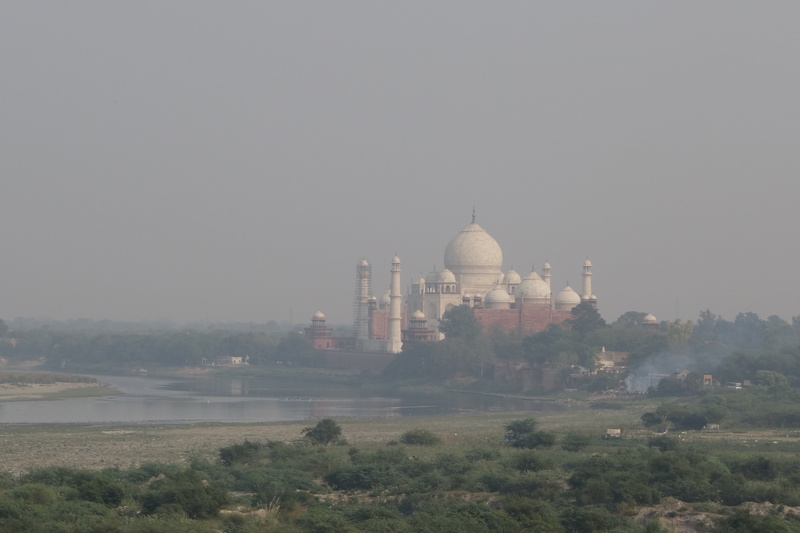 At its core, the Taj Mahal is a Muslim building. In big indication are the decorations of geometric patterns images of plants and elaborate Arabic calligraphy. 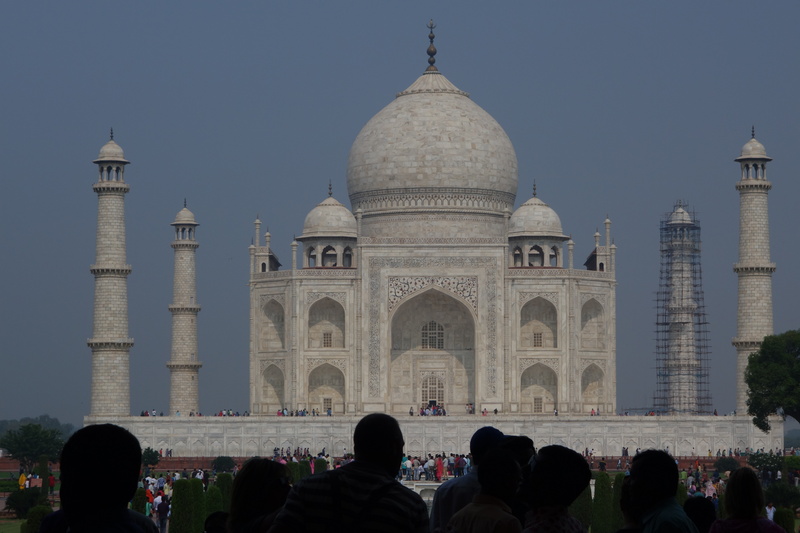 The Taj’s central structure has four equal sides, each with a gate and smaller gates at the corners. 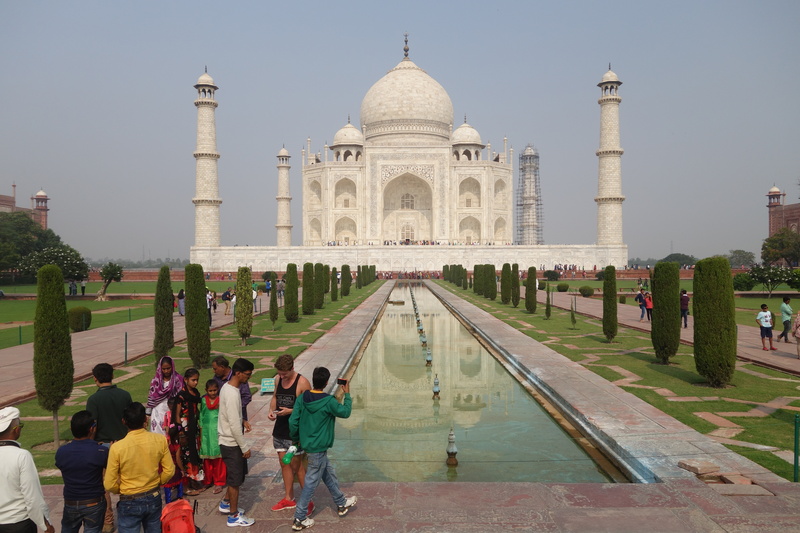 The Taj Mahal is surrounded by an outer perimeter wall made of red sandstone. The outer gates mark a transition between two worlds: the outer and the inner, the profane and the sacred, of the living and the dead. 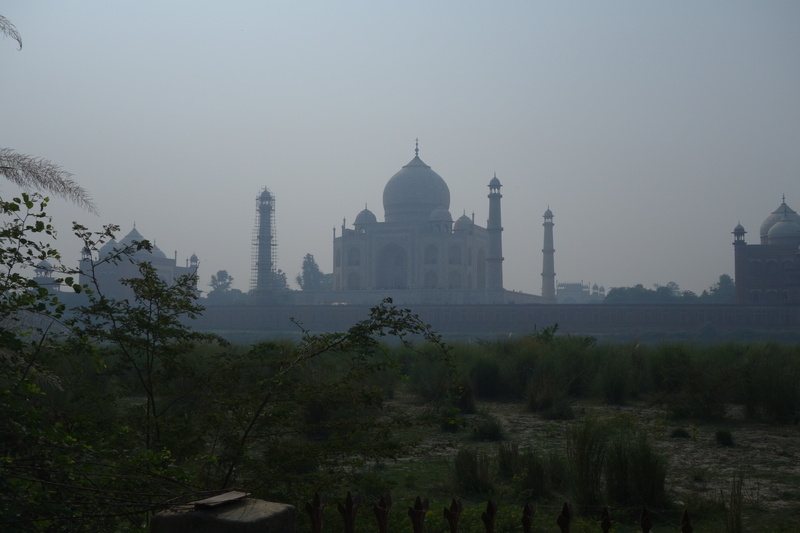 Unlike many famous moments, such as the Eiffel Tower or the Pyramids of Giza, the Taj Mahal is largely hidden from view and does not dominate the city’s landscape. Instead, it is withdrawn inside the walls like a precious gem and is only finally revealed to visitors once they pass through the Great Gate. Observers stand on a raised stone platform that continues along the perimeter wall, giving a sense that the garden is sunken and giving further drama to the mausoleum rising up in the distance. The garden itself is square, with four paths and pools of water coming in from each of the gates. 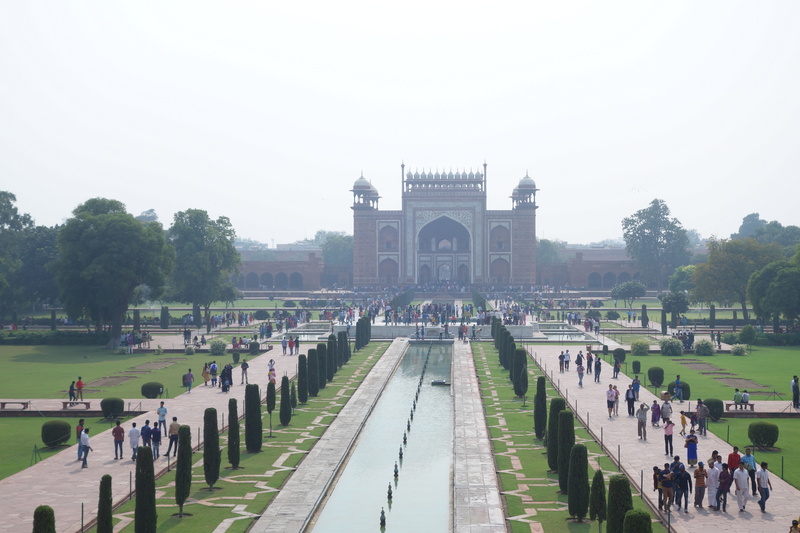 Also in front of the gate is a long reflecting pool which continually draws the eyes towards the mausoleum. And, there it is. Changing colors four times a day. We saw only white. I hope to return for the other colors. The embodiment of all things pure.